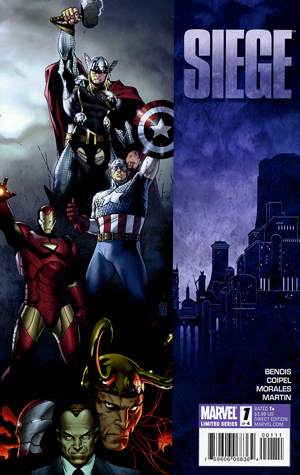 DYNAMIC FORCES® - SIEGE #1 - SIGNED BY STAN "THE MAN" LEE! SIEGE #1 - SIGNED BY STAN "THE MAN" LEE! What better way to usher in a new age of Marvels, The Heroic Age, than with the signature of "that man" that started it all... Stan Lee! Stan is signing a very limited amount of Siege #1 for us and we are happy to offer them here. Starring all the amazing characters Stan helped create nearly half a century ago: Thor, Iron Man, Spider-Man and more! !